Thinks He’s Alien Black Dog because he can find others there (like Sprite and Retweet) who also feel at times as if they are an alien who has been abandoned on this planet or have sufficient imagination (like Imaginational Dabrowski) to guess how he might be feeling. Everyone needs a place of sanctuary – a place where they feel as if they belong and are understood. It is a basic need. Gifted people are no exception. They have the same need to ‘find their tribe’, find their peers, find their place of sanctuary. But it can be harder for them to do it. Exceptionally and profoundly gifted students are unlikely to find another student like themselves in their own classroom unless it is a selected entry gifted class. It is a powerful reason for grouping gifted students together. Belonging is the theme for the 2016 New Zealand Gifted Awareness Week Blog Tour. Every year folk from Sprite’s Site go down to the beach to wave ‘across the ditch’ to New Zealand and wish them well for Gifted Awareness Week. In about two weeks Victorian students will begin the 2016 school year. Choosing a school is always a big decision; but it is even more complex when choosing an education method for gifted children. *what specific provisions are made for gifted students? Is early entry / acceleration an option? What enrichment opportunities do they offer? Are the provisions offered full time or a once a week extra? We have been on a quest with the help of Dr Ed Needs the (fictional) Education Consultant to find the ideal education for 2E Twice exceptional student Sprite within the school system, supplemented by extra activities and holiday programs. We also found Paula, the Physicist to be a mentor for her. We are using De Bono’s 6 Action shoes as the tool for planning and we road test them on Gagne’s DMGT (Differentiation Model of Giftedness and Talent) road from innate giftedness to fully developed talent. It is also sometimes necessary to employ the strategies of S.C.A.M.P.E.R. in order to modify teaching methods for Sprite. Every year we hope that the provisions which have been recommended and adopted in the previous year will continue but in the past we have often found that situations change and the measures had to be re-evaluated. So until this year’s provisions for Sprite are settled she is wearing one orange gumboot representing stop gap measures to cater for her giftedness and a walker boot representing stop gap measures to cater for her difficulties. Who can help gifted and 2E students and how and when should we seek help? From school administrators, teachers and coaches, mentors and leaders? From counsellors or therapists? From state &/or federal government? From humankind? From the Universe? From family and friends and other members of the gifted community? Who helps or has helped you and how? How did you seek them or reach them or find them? What difference did it make? To address these questions we have assembled a panel of experts from Sprite’s Site. Paula, the Physicist, will answer questions about the role of a mentor. Dr. Ed Needs, the Education Consultant, will be joining the session via Skype. 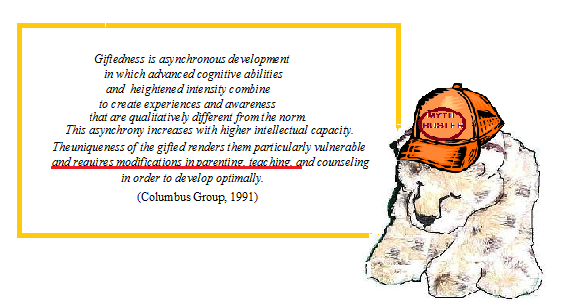 Columbus Cheetah will speak about the myths surrounding gifted and 2E students. The Psych-Owl-Ogist will address issues relating to identification and testing and social/emotional issues. 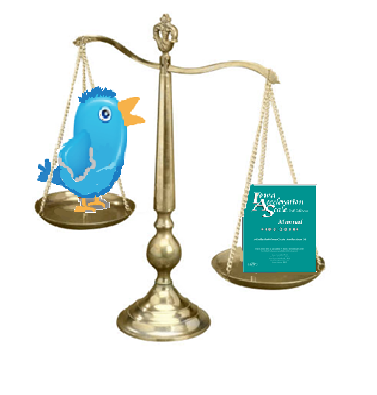 Twitter Bird Retweet, mother of gifted tweetlets, will speak about the support available from Parent Support Groups. A representative from the government was invited but sent a note of apology and referred the audience to their website. Intellectual Dabrowski was not one of the invited experts but offered to share his extensive knowledge. The format will be Question and Answer to preselected questions. At the end of the session the audience will have an opportunity to ask their questions in the Comments section at the end of this post. Question 1: How can you identify gifted students and where can you go for testing? Psych-Owl-Ogist: There are checklists which can be completed by teachers and parents and various other ways of recording observations which can help to identify gifted students. However if you need an I.Q. test administered you need to find a psychologist or education consultant who is qualified and registered to administer the test. And it is important to choose a person who specialises in working with gifted people. Dr Ed Needs: Some education consultants are also qualified and registered to administer these tests as well as academic achievement level testing. They can also give testing to show areas of strength/weakness and detect possible learning difficulties and give the necessary recommendations, therapy and support. Question 2 (To Retweet): Where have you found helpful advice for raising your gifted tweetlets? Retweet: The Psych-Owl-Ogist tested the tweetlets and gave us helpful advice about social emotional issues. And he helped us work through decisions about our parenting. 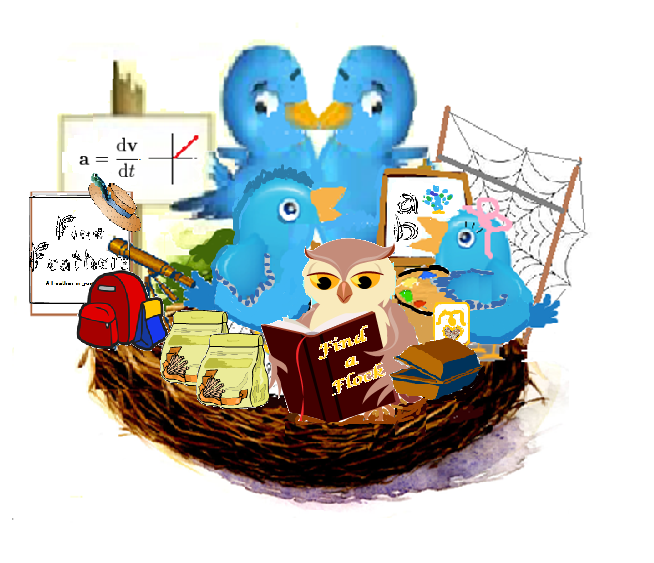 I have also found that joining a parent support group for parents of gifted tweetlets has been helpful because I am able to discuss things with those parents which most of my friends and even some of the members of our extended family do not understand. and from the local NEST Ed group. Question 3: I have been told that acceleration is harmful for gifted students. What does the panel think about this? Question 4 (To Paula): Paula, you are a Physicist and a Mentor for Sprite. How are you able to assist Sprite in your role as mentor? Paula: Like Sprite I am twice exceptional. I have overcome the same learning difficulties that Sprite has and have earned tertiary degrees. I also share a love of astronomy with Sprite. So I am able to relate to her and understand her areas of interest and the struggles she has. Often I can offer advice from my own experience. Also I am a person who is not her parent or teacher so sometimes she finds it easier to confide in me. As a 2E student Sprite sometimes needs special provisions, accommodations or concessions but is often embarrassed by the need to ask for help. Question 5 (To all panel members): Do you have a role as an advocate to help the gifted? Paula: Whenever you speak up to increase awareness or explain issues you are acting as an advocate. Sometimes I speak to groups such as this about the characteristics and social emotional issues associated with gifted and 2E students and my role as a mentor. Dr Ed Needs: I advocate for gifted and 2E students by giving recommendations for the educational provisions they need. Sometimes this involves being present as an advocate for the student during parent/teacher meetings. I also speak at conferences and write articles which are widely distributed. One of the most important ways I act as an advocate is by giving parents and guardians the information, support and encouragement they need to advocate for their children. And I also encourage the students to advocate for themselves and request the provisions they need in a respectful manner. Columbus Cheetah: I act as a Myth Buster and as an advocate for acceleration, appropriate education in terms of pace, level, depth and breadth and for time spent with true peers rather than age peers. 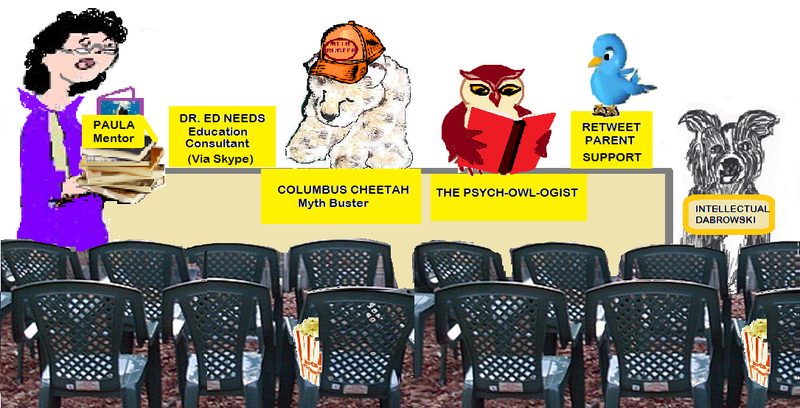 Psych-Owl-Ogist: My advocacy is very similar in form to that of my esteemed colleague Dr Ed Needs. Retweet: I allow my story to be told in the hope that it will help others who are in the same situation as me. This is a post for the Hoagies’ Gifted Blog Hop for October 2015 How and When to Ask For Help. “Columbus was talking to Intellectual Dabrowski about my education plan for next term.” Sprite said. “Columbus said that even though I have some learning difficulties I am gifted and should be given acceleration opportunities. I knew that Sprite often used stories about Columbus Cheetah and the overexcitable Dabrowski Dogs and the depression causing Black Dogs to express her concerns. So I was anxious to find out more about the background to this particular story. “Tell me what happened” I said. 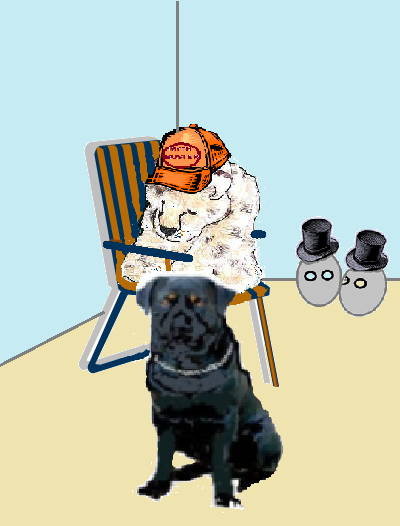 “Columbus and the Dabrowski Dogs were talking about my education plan for next term (except Psycho Motor who was outside chasing butterflies and Sensual who was having a Lavender Lathers grooming parlour session). “I tuned out after a while and talked to Imaginational who was suggesting all sorts of great sounding programs and provisions. and help and support in the areas I need it. and that it was just not true that everybody was gifted; in the same way as it was not true that nobody was gifted! Hadn’t anybody been listening when he presented ample evidence that although every student was precious and every student had areas of relative strength, every student was not academically gifted? “Why do you think Black Dog attacked Columbus rather than you?” I asked. “Well,” said Sprite. “I think it was because Imaginational and I were happy discussing possible programs that would be really great. “ And when Intellectual was being cynical and the Pair O’Noids were being paranoid it made Columbus wonder whether his myth busting was ever going to be completely successful. “Your have shown me a few things I can do to overcome the Black dogs. In line with his New Year resolution, that in 2014 he will increase his efforts to bust the myths surrounding giftedness and advocate for acceleration and ability grouping opportunities for gifted students, and in preparation for a webinar and Global GT chat on Twitter for the next two weeks, Columbus Cheetah is updating his myth busting presentations. This is a myth which particularly concerns Columbus Cheetah. Columbus Cheetah is very eager to advocate for gifted students to be able to learn at a suitable LEVEL and PACE and to have the opportunity to spend time with their TRUE PEERS who may not be the same age as themselves. Acceleration is an educational intervention that moves students through an educational program at a faster than usual rate or younger than typical age. Acceleration means matching the level, complexity and pace of the curriculum with the readiness and motivation of the student. In order for students to be engaged in their learning it is important to pitch the teaching at what Dr Katherine Hoekman would call ‘the eyebrow wrinkle level’ of challenge – possible to attain with effort – but neither impossibly difficult nor far too easy. Professor Mihalyi Csikszentmihalyi’s work, Flow: The Psychology of Optimal Experience, notes that people are happiest when they are in a state of flow when they are completely absorbed in the activity at hand and nothing else seems to matter. For the state of flow to occur the challenge of the task and the ability of the performer need to be matched. The task should be neither too easy nor much too difficult. For gifted students to find that eyebrow crinkle level or state of flow they may need to be given acceleration. This could take the form of early entry, year or stage level advancement, subject level advancement, dual enrolment, curriculum compacting or telescoping, correspondence courses or extra-curricular programs or mentoring. 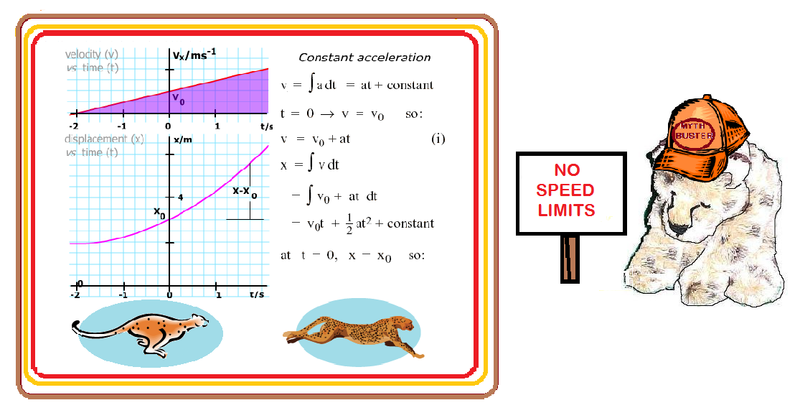 Regarding pace Columbus Cheetah says this myth can be busted using similar methods of observation of the cheetah’s running gait, physics and common sense as were used for busting Myth 5. Note those two points when the cheetah has no feet touching the ground. have social problems because of being with a group of older students. If there is doubt about whether a student is a suitable candidate for acceleration working through the Iowa Acceleration Scales will give a helpful conservative indicator score. Great Aunt Hashtag had gone home and the Psych Owl Ogist ordered take-away food so that hunger would not distract them and settled in for further discussion about how to find the right flock for the gifted Tweetlets. He ordered Fried Mice for himself, Wormburgers for the Tweets and Tweetil and a seed heart for Tweetelle. “And Retweet rejected all Local Flocks on the basis of the one she saw. But Local Flocks vary a great deal and some can be excellent for gifted Tweetlets. “Some Flocks will have programs for groups of gifted Tweetlets or occasionally join with other flocks for special activities and excursions. Some will offer Vertical Timetabling, Differentiation, Withdrawal classes or Dual enrolment. 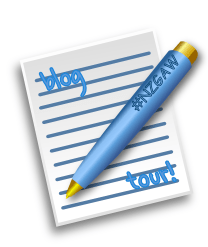 I am very happy to be participating in the New Zealand Gifted Awareness Week blog tour again this year. Published by Gifted Education Research, Resource and Information Centre, The University of New South Wales, Sydney Australia. 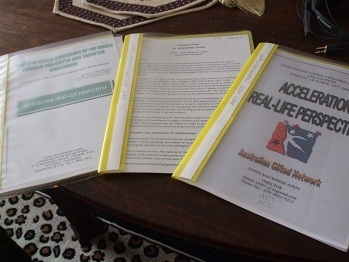 Columbus Cheetah’s favourite articles about Acceleration included several by Lynne Mackenzie-Sykes which he found in the files of articles and the collections of conference handouts in the Gifted Resources library. 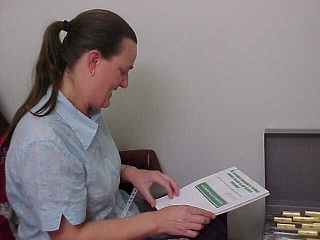 I also found a photo of Jennifer Grant reading those articles when she was considering the education of the eldest of her children. Jennifer now speaks to parents and teachers about ‘The Advocacy Journey’ which covers the provisions used for meeting the needs of her exceptionally gifted children ranging from early entry, through enrichment, enhancement and extension to acceleration, radical acceleration, dual enrolment, gifted programs and holiday programs, outside school activities and groups such as choirs and scout groups. Having presented his selection of resources, Columbus Cheetah was eager to move on.